The Lunatic, The Lover & The Poet will open in a 7,000-square-foot building in the West Loop as a modern-day wine bar with craft beer, cocktails and a small plates menu. The Lunatic, The Lover & The Poet, 736 W. Randolph St., Chicago, IL 60661, no phone. Chef Andrew Zimmerman (Sepia) will open Proxi, a more casual, globally inspired restaurant, in late Spring 2017. Proxi, 565 W. Randolph St., Chicago, IL 60661, 312-441-1920. Chef Grant Achatz (Alinea, Next Restaurant, Roister) and Nick Kokonas have begun construction on a new, as-yet-unnamed project. 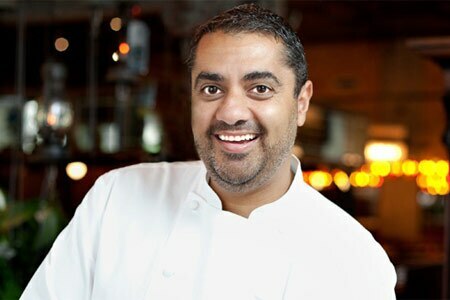 Chef/restaurateur Michael Mina will open a restaurant at the Waldorf Astoria Chicago hotel. Waldorf Astoria Chicago, 11 E. Walton St., Chicago, IL 60611, 312-646-1300. Robinson's No. 1 Ribs in Lincoln Park has closed. Robinson's No. 1 Ribs, 655 W. Armitage Ave., Chicago, IL 60614, no phone.